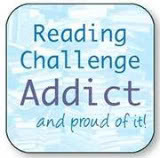 I'm thrilled when I see challenges that will help me discover new writers and new genres of literature. Simon at Stuck in a Box together with Harriet organised this week a retrospective on Muriel Spark, a novelist that I may had heard the name of, but certainly knew nothing about. 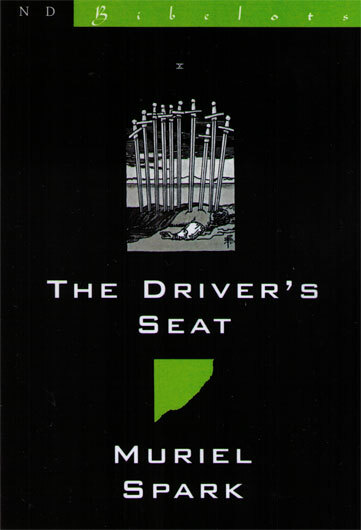 Quickly I ordered my copy of The Driver's Seat, to get me into the mood for adventure... Little did I know that this book would open a whole new horizon - not only for Spark. I prepared myself by reading the reviews posted in the two hosts' blogs, trying to figure out what I was in for - what Spark's style was. My book is in the 1970's, so I was prepared for an alternative subject. Still, when I got my copy I knew that I was in for a treat - a wonderful new context was there for me to read and enjoy. The storyline is quite dark, and I have to say, in line with what my idea of the 1970's would be: already from the first pages, I was inside a futuristic 1970's film, with the heroine, Lise, becoming a hysterical, almost paranoid, overworked (?) woman, who decides to flee. Within the first 20 pages I knew the end, she would be killed. Very unusual, but all the more intriguing: by whom and most importantly, why? I can honestly say I've never read anything like this book before and am therefore intrigued to find more about Spark's novels. 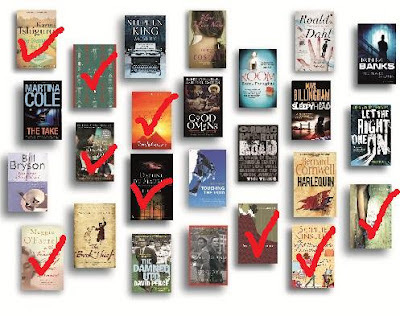 Thanks to Simon and Harriet I've discovered a new writer I want to read more, and thanks to Spark, I've also discovered the Lost Man Booker short-list - another TBR list that will keep me well supplied with books! 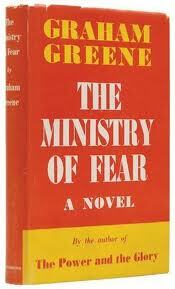 Many times, the novels I've read as a teenager seem to lose their appeal when re-reading them as an adult. Others, on the contrary, gain even more allure and highlight new facets to their story. Lucy and her warden Charlotte find themselves without rooms with a view in Italy. Such a dramatic event surely cannot be sustained of course, and a respectable complaint starts being heard in the Pensione. Upon the offer by the Emersons to swap rooms with theirs that do actually have a view, we witness the hardship of good manners, taking refuge with the vicar, and finally the obedience towards the decision taken by said priest - the fact that this coincides with the original desire of the ladies, need not bother us... First ...: things are not always what they seem. From the perspective of a woman who knows what her position in society is, but who nevertheless wants to accomplish (tiny) things, the procedure to follow is way too time-consuming and complicated: she has to make everyone think it was their own idea and decision, while she has been plotting the end result since the beginning... "(the women's) mission was to inspire other to achievement rather than to achieve themselves". Difficult times... (I really laughed when Charlotte wouldn't give the big room to Lucy because young Emerson had it - that worry for absolute protection is bound to have the opposite results). On to the next set of comparisons, the conservative versus the radical: the Cecils of this world, who will say to whoever will listen how radical they are, how beyond class they've become, only to prove that they keep the status quo and even worse - they are actually misanthropists: "of course, he despised the world as a whole; every thoughtful man should; it is almost a test of refinement". Fortunately, there are also the Georges and Lucies in this world, who may stray in the beginning, when they're still trying to fit in the norms of society, only to realise that life's too short for "trying": there has to be a rebellion, and it has to be now. Not in the most articulate manner as in Lucy's breaking the engagement off, but all's well that ends well.. 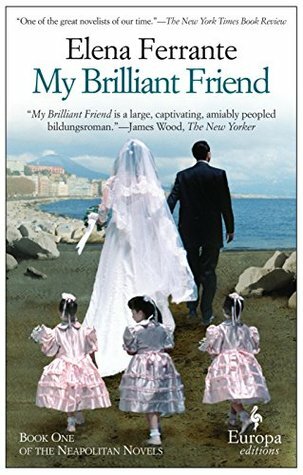 Although the novel is full of comparisons / antitheses, it prefers staying on the surface of the matter at the most crucial point - I was surprised when Lucy and Cecil call off their engagement, that the dialogue is plain and civil to the point of being dry - not much information is provided for the inner feelings (or lack thereof) of the two main characters. That was the only point where I felt I wanted more. 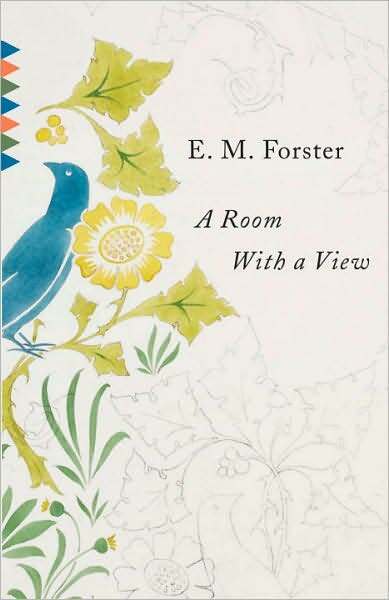 For the visual interpretation of this novel, I re-watched the 1985 film by the same name, directed by James Ivory. I have to agree that the film does the novel more than justice - the points where the novel may lack in depth, are compensated by the actors' interpretation. This is a peculiar subject - what happens when you find yourself trapped inside your body? What thoughts, what regrets, what needs, what worries go on in your mind, while you await your death? I started having an interest in these questions, after reading Tuesdays with Morrie, an excellent wake-up call of what really matters in life, and what to avoid in order to fully benefit from it. 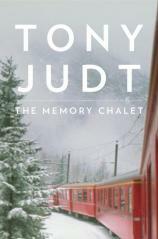 I then read about The Memory Chalet by Tony Judt in Nigella Lawson's blog, and I was interested to see how these questions are seen through the eyes of someone whose actual work is to jot down the history of the world. The Memory Chalet, despite its sad content, does not have a melancholy theme. The author explains already in the very beginning of the book the cause of his slow demise, Lou Gehring's disease, without any emotional attachment. While I cannot imagine how I would have reacted to similar news, I can fully sympathise with his intention to make the most out of a sinister situation. In this point I also liked Judt's differentiation between being and becoming. It is really that small difference that can have a major impact on one's life - being, passive, the duty, rather unchanged versus becoming, developing, the journey, embracing change. He is displeased with many of today's shortcomings - I suppose every generation is for the following one. And although I am that generation he's referring to, I myself can see these same shortcomings in the generation after me: educational standards are getting lower (I have to admit that even at my time, education was only for those who really wanted to learn on their own - the rest did not stand a chance from teachers who knew even less that they did...); politics is happening elsewhere (this was true then as it is now) - and indeed, we have missed the boat; reforms for the sake of reforms have created mayhem in our public / professional / industrial life, with the result of sub-average products and services. And then he turns to language... one of my favourite subjects, I have to say: it's the use of language that sets humans apart from other animals (here I can recommend the documentary Planet Word), and yet, we don't seem to care. The times we live in promote the use of language to mystify rather than inform: "we speak and write badly because we don't feel confident in what we think and are reluctant to assert it unambiguously. Rather than suffering from the onset of "newspeak", we risk the rise of "nospeak"". If this is painful for me, still in top form, I'm wondering how excruciating it must be for a professional user of language who, in the grip of a neurological disorder, loses control of words. We are so lucky to have this ability to use a wealth of words - we should never take it for granted. It is time! The biggest celebration of books around the globe is today! World Book Night is celebrated primarily in the UK, Ireland, Germany and the USA. With this year's title "A milion reasons to read a book" this event is spreading the word on literacy and the celebration, sharing and enjoyment of reading! Even here in little Belgium, there are bookstores, libraries and cultural centres that have incorporated small-scale events to mark the UNESCO International Day of the Book. A big hello and thank you to Belezza, Allie and all other bloggers who are participating in this worthy cause and are gifting books in their communities to spread the love and joy of reading on this day! The 2012 UK books and those I've already under my belt! Mix everything - pour in oil-sprayed muffin tray, or in paper cups. Bake for about 30 minutes at 190oC. Leave to cool and enjoy! If you're using gelatin leaves, soak in water before mixing with coffee - with the powder, you can mix immediately - in both cases, leave coffee to cool. 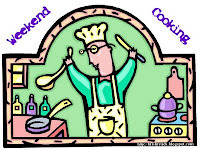 Then comes the whisking: in order to use my hand mixer once, I mix in the following order: first the egg whites, until I have a nice meringue (one mixing bowl). Next comes the whipped cream, which should not be super-whipped (the recipe calls for a "yogurt" consistency) (second bowl). Lastly, the egg yolks with the sugar, which need a couple of minutes of whisking, just to combine the two (third and last mixing bowl). This bowl should actually be the larger one, because everything else will get in there: again, in order: coffee, whipped cream and egg whites (you know how to integrate the egg whites? first a small part to beat relentlessly into the mixture, and then the rest, "folding" it? don't worry - any way this is managed, it always tastes good in the end). Pour in glasses and leave in refrigerator for about 1-2 hours. For the whipped cream: whisk everything, pour on top of mousse: You now have a Latte Macchiato dessert! The writing is still the same - the main character, Arthur Rowe, finds himself trapped between a cake that was not meant for him and a murder he did not commit - coming from a background of mercy killing only further complicates his situation. The alternation between dialogue and third person narrative creates a distance from the depth of emotions that actually take place, and allows (my) imagination to fill in the gaps when the characters remain passive. "he was going to live... because he no longer felt that he was dragging round a valueless and ageing body"
"They had to tread carefully for a lifetime, never speak without thinking twice; they must watch each other like enemies because they loved each other so much"
While watching the BBC's The Review Show, I heard a very good presentation of one of the latest of Ian Rankin's books, The Impossible Dead, and what caught my attention was the comment that this, all with all other of his books was a "page turner". I'm not usually influenced by such reviews, but something must have made an impression, because, some time later during a book festival, I managed to get Watchman, one of Rankin's first novels. I was not disappointed. In the introduction to the book, the author provides ample information as to his difficulties in those early days to make it in the literary world, and how he managed to pull through. 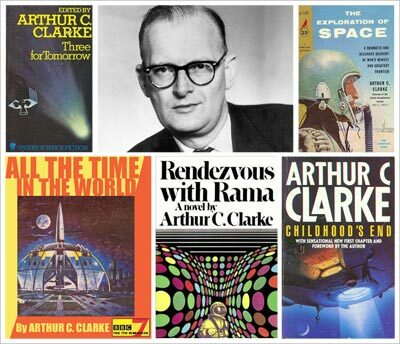 In researching for this book, of the spy genre, he recalls the advice given that the book be as realistic as possible - not stories that exaggerate the "glamour" of the spy. I couldn't have said it better myself. The overall tone of the book is slightly cynical - as I imagine the security service would be in real life, which made the story all the more believable. There is no great drama - just a fairly realistic day-to-day job that the main character, Miles Flint, has to go through - the internal intrigues of the service, the personal disappointment - things that we can all associate with. He works a lot to avoid facing the real drama in his life - his wife, with whom he has practically no contact anymore. One of the most distinguishable traits of this character is his obsession with all types of bugs- what an ingenious idea! Other than some very specific cases in primary school, I honestly can't remember anyone around me having such an interest - yes, my first reaction would also be wow, how boring! but once I got into the subject matter, it's actually pretty amazing and interesting! Picture this: "the security services were running around like so many ants in a glass case" - crystal clear what the author means! Rankin manages to insert tiny details that play a minimal role to the overall story, but which contribute to its authenticity. In such a case, Miles' son gives him an adoption certificate for a zoo pet as a present. I did exactly the same for my mother some years ago and reading this put a smile on my face - I found it so brilliant! Miles then, is a watchman - he watches people in situations and then informs. When a routine stake-out goes wrong, his world collapses: he is the one now being watched and he realises that things will no longer be the same - he is exposed. When he realises that this minor incident actually part of a larger operation is, he is the hunted: he grasps the last chance given and goes to Belfast, where he fears he will be asked to do -not just watch! The tables are turned and he becomes the hunter, and manages to come out gloriously (well, almost). As with most of the books of this genre, there are more twists in the story that imaginable. Still, the innovative aspect in this book was that even towards the end, when all elements are slowly being revealed, I was caught unaware several times (and I'm a master in deciphering difficult cases...). This book is really a tiny gem among Rankin's works! It is finally Spring, with birds and flowers slowly making their appearance heard and seen! I've managed to clear half of my tiny garden in view of the coming season (before a bout of rain yet again forced me to put plans on hold...). I just love working around the plants (with gloves on, bien sûr, for fear of unwelcome surprises) - but also with the - even tinier - vegetable patch, where primarily herbs but also vegetables sometimes manage to grow to adulthood (i.e. when snails don't get the best of them...). For the vegetable stock, I have the luxury I can find vegetables already cleaned and cut for making stock in my supermarket, otherwise it's roughly 1 potato, 1 onion, 2 celery sticks, 3 leeks, 3 carrots, all cut to small/medium pieces. I roast the vegetables slightly (to bring out flavours) before putting everything in a huge pot and adding 1.5l water and a bouquet garni (thyme/rosemary/bay leaf) - let it boil for about 1 hour, and then I just leave it to cool with the vegetables still in the water. I use chicken stock for this recipe, but obviously you can use vegetable stock or water. I make chicken stock every time I roast a whole chicken. After roasting, I just put the carcass aside, and let it boil together with 1.5l water, 1-2 carrots, 1 leek, 1-2 celery sticks and a handful of peppercorns. Let it bubble for about 1 hour and then let it cool with all ingredients in the water. For the soup: in medium heat, lightly fry all vegetables in 2-3 tablespoons of olive oil. Add stock/water, salt/pepper, and let it bubble for about 40 minutes, or until the vegetables are tender. Let it cool and blitz. I like to serve this soup again pure (but you can add milk/cream) with shrimp: I marinate them in lemon juice, salt/pepper and a little grated ginger, and then lightly fry them. This being the 200th anniversary of Dickens, I am reading quite a number of his works - some I like, some not so much. I started reading Bleak House right after having finished another of his books which I did not like much, and what a relief this one is! A writing style that is totally different, a writing that invites me to read on. From the beginning, Dickens uses a parade of words that seem to exaggerate, but actually serve a purpose: to exactly describe the person, the case, the situation… (as in the helpnessness surrounding the Jarndyce case). These words provide such precision to the story itself, I can place the main actors in their respective situations much more effectively than if I had to use my own imagination (which tends to go to overdrive…). I also get to witness an excellent use of language – which does not make for a melodramatic story, just more thorough in my understanding. In this part, I'm also fascinated by the manner in which Dickens describes "social injustice": he never ceases to point the finger at the the two sets of standards that exist in his society, even for the ridiculous things: the upper class who have a right to a ghost, the vain who make a great deal of noise about the little things they do, the orphans who are expected to be the little old women (taking care of everyone else). I would say Dickens’ social comments hit a point that is just as relevant today as it was then. Much as I was mesmerised by Dickens' writing in the beginning, however, I soon found myself having trouble keeping track of all characters introduced. In addition to purely descriptive parts (I've since found out that the book was first published in several installments, so naturally, he might have had to find additional content to make this possible), all these new characters puzzled me (I agree that it is intentional, and I can’t wait for the new angles in the story). Fortunately, the unmistakable pen of Dickens is apparent and makes up for this disturbance – whether it describes the cemeteries, where diseases are “communicated” to the living, or the everyday lives of the main characters. The chapter of Lady Dedlock are much more fascinating, as the caustic remarks Dickens makes about her and Sir Leicester and their boredom and their complacency are just too funny to pass by. The twists in Bleak House are neverending, and so is the connection of the characters: Lady Dedlock is interested in finding out about Nemo, whose doctor is fetched by Miss Flite, who is the new friend of Miss Jellyby, who is a friend of Esther… I only hope this sorts itself in the coming chapters. Towards the middle of the book, we get at last a glimpse at what (I hope) the second part of the book has in store – the revelations about both Nemo and Esther have roused my curiosity, and I just have to pause myself from imagining all the possible combinations and explanations and hidden stories around the main characters! Even from the first pages, Anne's writing style is evident - describing in all honesty what each situation entails, especially if it's bound to be uncomfortable (for the time in question). It is exactly what I long to read in a book: great use of language and great, multi-faceted storyline. "I must run, walk, or stand, exactly as it suited their fancy"
"... there are few situations more harassing than that wherein, however you may long for success, however you may labour to fulfil your duty, your efforts are baffled and set at nought by those beneath you (the pupils) and unjustly censured and misjudged by those above (the parents)"
Anne Brontë develops all characters in this book to the minutest detail so that she will explain and demonstrate how the various elements, however insignificant they may seem, contribute to the storyline. When little Tom prides himself in front of his siblings that he will torture the birds found in a nest, "his face is twisted into all manner of contortions in the ecstasy of his delight" - what dark pleasure for such a young child. But what is the reaction of the mother? the poor creatures "were all created for our convenience". I can not only imagine the scene, but I can also feel the coldness in the atmosphere and poison oozing from everywhere! Agnes, just as Anne, are daughters of clergymen, with the result that much of their upbringing relates to Christian beliefs. This is in stark contrast with the pupils both have had to face as governesses: "to submit and oblige was the governess's part, to consult their own pleasure was that of the pupils". The pupils are almost always of a specific social status, that entitles them to mingle with the "right" kind of people and to "flirt" with the wrong kind. Such is the case with Rosalie, the eldest of Agnes's pupils, who is set to marry someone with great affluence. Her mother sees to this, as well as to make certain that Agnes should not forget that "it is not proper for a young lady of her rank and prospects to be wandering about herself in that manner", i.e. mingling with people beneath her class. The end is as close to reality as can be: Rosalie does indeed marry Sir Thomas Ashby only to discover that she despises her husband, that she cannot see herself caring for her child and finding it hard to reconcile with her mother-in-law. Now that she has settled for a nun's life, she longs for her maiden years. Agnes, on the contrary, will eventually marry Mr. Weston, and have a family life that, despite their own trials, is amply sufficient: "... by never attempting to imitate our richer neighbours, we manage to enjoy comfort and contentment ourselves". I could actually suggest this to a lot of people in our days! The only "flaw" I would say I found in this book is Agnes herself. She remains exactly the same throughout the story, never evolving - which is a pity, because she demonstrates all the abilities for breaking barriers. Other than that, this book provides ample evidence of a great writer in the making. 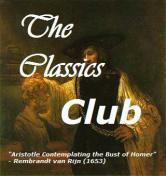 I'm glad I re-read this classic! But, I also care for dogs: they are cute, warm, and always ready for play and belly-rubbing... Plus, they're in the best animated films, like Lady and the Tramp, Scooby-Doo, and my favourite, 101 Dalmatians! 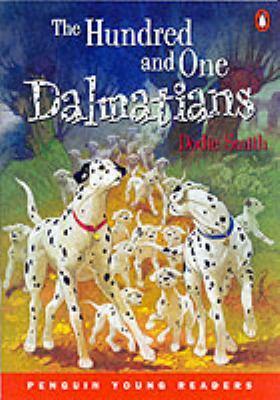 For my Century list, I found that in 1956 Dodie Smith wrote the actual book to The 101 Dalmatians - the decision was made! The story is well-known, but I was pleasantly surprised that the characters and the whole storyline are well-developed and worthy of an adult audience - even though it's a children's book, it does not leave out substance: rather, it passes on ideas and notions to children in a very simplified form and I found this very interesting, especially at that point in time. "(Pongo) never felt he had two wives - he looked on Perdita as a much-loved young sister"
So what if everything in the story is just too easy - Mr. Dearly, the human, is obviously rich and has all the time in the world. He's able to bring home one of the Top Men from Scotland Yard to investigate the kidnapping, and in the end he even has the ability to retire while he takes care of all the animals (sure...). So what if indeed all puppies make it in the end (in harsh winter...). It remains a beautifully written story with great descriptions (and some indirect moral lessons) and a well-deserved happy end! My major challenge of this year, War and Peace, is not going as I would love to, with only 3 books read so far .... I can only hope that the Easter break will allow for more reading! 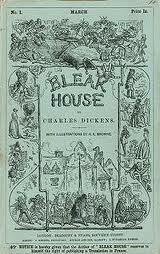 and of course, I keep reading Bleak House by Ch. Dickens for the Unputdownables read-a-long.